The Willow Creek Community Garden at the Open Door Clinic has space for more gardeners. The garden is located on Highway 299 just west of Highway 96. To get involved, or for more information, please contact Argie Munoz at (707) 269-7073 ext. 3179 or garden@opendoorhealth.com. The community garden on F and 11th Streets in Arcata is looking for more volunteers to help tend the space, which grows food for patients of Open Door Community Health Center. This is a great way to learn how to grow fresh healthy food. Join us for a volunteer workday on Wednesdays from 11 - 2 p.m. or contact Argie Munoz at (707) 269-7073 ext. 3179 or garden@opendoorhealth.com. If you are looking for space to garden this season, there are community gardens welcoming more participants. Contact information for many local gardens is available on the Local Garden page of www.northcoastgardens.org, or please call the North Coast Community Garden Collaborative at (707) 269-2071. The Humboldt Permaculture Guild invites the community to the 3rd annual Fruit Tree and Scion Exchange on Saturday February 13 at the Bayside Grange in Bayside from 11 a.m. to 2 p.m. Both experienced fruit growers as well as the general public are invited to share quality graft wood (scion) and learn about growing fruit in Humboldt County. There are three workshops offered: at 11 am is "The Whip Graft" with Sam Polly of Streamline Planning; at 12 pm is "The Bark Graft" with Mark DuPont of Klamath Knot Permaculture; and at 1 pm is "General Fruit Tree Care & Maintenance" with Jim Polly of Fieldbrook Nursery. With the diversity of microclimates in our area, the Scion Exchange is meant to pool the extensive knowledge of professional and backyard fruit growers in the community and educate the public on which varieties do best in which areas. 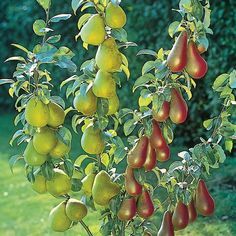 Sharing of all perennial fruit producing plants (eg. vines, roots, cuttings) is encouraged but not required. Successful fruit tree growers are invited to share scion wood from their best producers or exotic cultivars. Growers with trees that are unproductive or disease prone, we invite you to come collect scion wood from successful trees that can be later grafted to these existing but less successful ones. And those who are still in the planning/planting phase, are invited you to come chose a cultivar, learn how to graft it onto a new rootstock and take home a new tree! Some varieties of rootstock will be available for a nominal price. Since the fresh fruit is mostly gone, participants are invited to bring fruit of any preparation (sauce, butter, juice, dried, etc.) to share the flavors of their cultivars. Photos are useful as well. More information about choosing scion wood in opposite column. For more information about the event, please contact Marlon Gil at (707) 672-3102. Now is a great time to start seeds for your spring garden. Did you know that CalFresh (formerly food stamp) benefits can be used to purchase seeds and plant starts for growing healthy food? Farmer's Markets, such as the winter market on the Arcata Plaza on Saturdays from 10 a.m. - 2 p.m., are a great place to find varieties of seeds and plant starts well suited to our climate. CalFresh benefits can be used at Markets, some of which even offer free bonus dollars for using benefits there. Some grocery stores that accept CalFresh also sell seeds and starts, such as the North Coast Co-op, Murphy's Markets, Safeway, and Walmart. Seeds to consider starting now include lettuce, spinach, broccoli, cabbage, cauliflower, and cilantro. If the ground is not too wet and you are anxious to get growing these plants can also be purchased as plant starts, and transplanted into the ground - just be prepared to cover them on a cold night. In my experience, pea, radish, carrot, and beet seeds do best directly sown in the soil (versus transplanted from starts). Growing some of your own food is a great way to get more affordable vegetables and fruits. In addition to saving money, growing food provides the freshest and tastiest food you can find. Happy Gardening! Students of Garfield School in Freshwater raised over $1,270 for local community gardeners of North Coast Community Garden Collaborative through their annual “Read-a-thon” fundraiser. Students achieved a goal of reading 280 books in two weeks and received pledges from family and friends to donate to a charitable organization. Fundraiser recipients in the past have included international organizations, but school staff thought to go “local” this year. The results were amazing. “I thought we might raise a couple hundred dollars, but families were very generous in their contributions. The kids are so excited to know their efforts will provide healthy food for people in need,” explains Marliese Tollner, Garfield teacher and fundraiser organizer. The funds will purchase seeds and plant starts for community gardeners, many of whom do not have land of their own to cultivate. North Coast Community Garden Collaborative (NCCGC) works with over 600 gardeners from 50 community gardens. NCCGC improves people’s access to healthier lifestyle choices, particularly access to nutritious, locally grown, and culturally appropriate foods, by creating and nurturing partnerships of community garden groups and their supporters. Gardeners of NCCGC are very grateful for the generous support from Garfield School, and are purchasing a combination of seeds and plant starts from local stores and nurseries. For more information about Garfield School, please visit www.humboldt.k12.ca.us/garfield_sd/ or call (707) 442-5471. Gardening Gazette is a free publication of North Coast Community Garden Collaborative, a support network of and for local community gardeners who work together to improve people's access to healthier lifestyle choices - particularly access to nutritious, locally-grown, and culturally appropriate foods, by creating and nurturing partnerships of community garden groups and their supporters on California's North Coast. A volunteer Steering Committee guides our work, with representatives from local community gardens and supportive partners including Redwood Community Action Agency, Food for People, University of California Cooperative Extension, and Open Door Community Health Centers. Learn more at www.northcoastgardens.org or "North Coast Community Garden Collaborative" on Facebook. - Fruit Tree and Scion Exchange: Saturday, February 13 from 11 a.m. to 2 p.m. at the Bayside Grange. Free event - learn about fruit tree care, grafting techniques, share graft wood (scion), and more. For more information see article in opposite column, and below. - Early Season Amendment Strategies: Wednesday, February 17 from 6 - 7:30 at the Beneficial Living Center, 148 S. G Street in Arcata. $10 suggested donation. For more information please visit www.beneficiallivingcenter.com or call (707) 633-6125. - Free Cooking Class: Thursday February 25 from 12 to 1 p.m. at the Eureka Co-op Kitchen. Sign up is required in advance: (707) 445-3166 extension 305 or mmccann@foodforpeople.org. - Food Summit 2016: Saturday, February 27 from 9 a.m. to 3:30 p.m. at the Kate Buchanan Room at Humboldt State University in Arcata. For more information, see below. - Master Gardener Program: Thursday, March 3 from 1 to 5 p.m. at the Humboldt County Cooperative Extension office, 5630 South Broadway in Eureka. Training for the UCCE Master Gardener Program begins, and continues every Thursday until mid-May. Applications are required before attending and are available at http://cehumboldt.ucanr.edu/?calitem=313850&g=22904. For more information contact Deborah at ddgiraud@ucanr.edu or (707) 445-7351. -Pruning Workshop: Saturday, March 5 from noon to 4 p.m. in Weitchpec. For more information please contact (707) 269-2071.
techniques for preserving food safely at home. To register or for more information visit www.northcoast.coop/calendar or call (707)443-6027. The keynote speaker for this engaging regional event, presented by Humboldt Food Policy Council, is Anne Lappe ("Diet for a Hot Planet" and the Small Planet Institute). The event will explore questions and ideas related to a healthy food system including issues of equity, economy and environment. Local food advocates and business people will also be speaking on issues such as Sustainable Agriculture and Aquaculture, Access to Healthy, Affordable and Culturally Appropriate Food, Local Production, Processing and Distribution, Economic Viability and Opportunity, Food Education and Agricultural Literacy, Waste and Recycling. The suggested donation is $10, or $5 for students, and no one turned away. Lunch is provided by the North Coast Co-op. Registration is available at www.foodsummit2016.org. Collect scion wood (graft wood, or a shoot of a selected, desired cultivar) from established healthy trees that are disease resistant (more or less). We are looking to share varieties that are known to produce reliable crops, need little maintenance and have favorable fruit. We only want to share quality scion that are worth growing so please be selective in choosing what trees to collect from and make sure you are collecting from the target tree. Cut only tender disease free stems from last years growth into 6 to 8 inch pieces, place them in a plastic bag and place into the refrigerator until you need them. Make sure you properly label your scion before storage and make sure provide specifics of where the tree is located (e.g. Bayside, Willow Creek). Microclimate information is very crucial to sharing scion with the correct people. Try to research your varieties. If you can, show the fruit in question to local experts to find out if it is a known cultivar. If not, please take note of the fruits qualities such as sweetness, size, color, texture, storability as well as the trees size and pollination requirements (e.g. pollen sterile, self-pollinating). Attendees are encouraged to share contact information and learn from each other in years to come. Home_Horticulture/. For more information contact Deborah at ddgiraud@ucanr.edu or (707) 445-7351. Grafting can allow multiple varieties of fruit to grow on a single tree.